On April 11, Huawei held a new product launch conference in Shanghai, Chian, officially launched the National Bank Huawei P30 and P30 Pro. 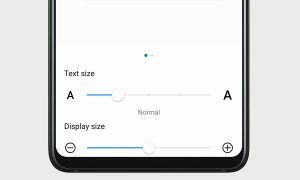 Huawei P30 has a 6.1-inch OLED full-screen with a resolution of 2340×1080 and aspect ratio of 19.5:9. It has high contrast and low power consumption. 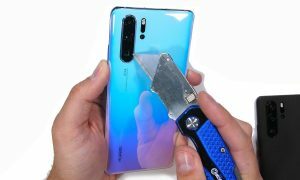 Huawei P30 Pro has a 6.47-inch 2340×1080 OLED curved screen with an aspect ratio of 19.5:9. The P30 series features a new generation of on-screen fingerprint technology. The P30 Pro adopts Huawei magnetic suspension sound screen technology to bid farewell to the handset and create an integrated body to achieve a higher screen ratio. In the core configuration, the P30 and P30 Pro are equipped with the Kirin 980 processor. The Huawei P30 offers three options: 8GB+64GB, 8GB+128GB, and 8GB+256GB. The P30 Pro offers 8GB+128GB, 8GB+256GB, and 8GB+512GB. 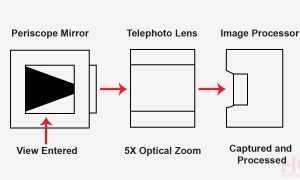 Among them, the P30 Pro scored 112 points and became the first place in the DxOMark camera list. The P30 Pro has a 40MP ultra-sensing Leica four cameras – including 40MP super-sensing camera, 20MP super wide-angle camera, 8MP periscope telephoto camera, and Huawei ToF camera. It has a 32MP self-timer lens has a battery capacity of 4200mAh.